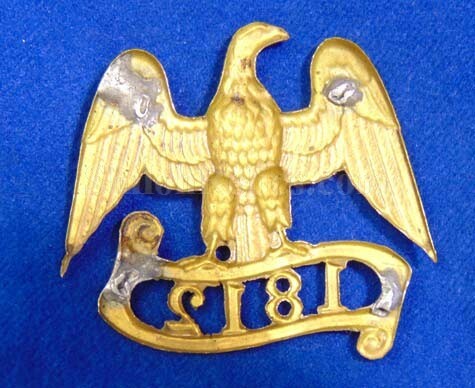 Here is a VERY cool original hat insignia. This is the pattern that is illustrated on page 90 of the Headgear Insignia book by O'Donnell and Campbell. 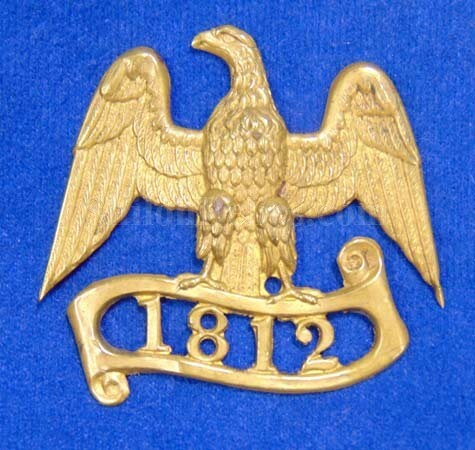 They state that it was worn by a member of the Pennsylvania State Fencibles from about 1840 until 1875. 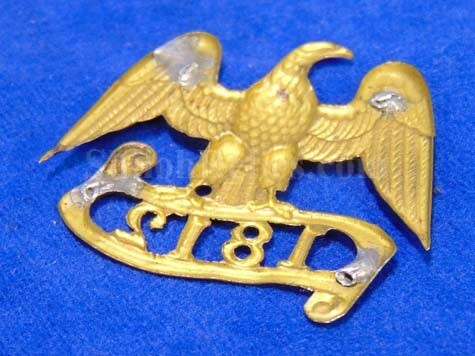 This eagle style "Cockade" is made of stamped brass and measures 2-1/8ths inches wide. 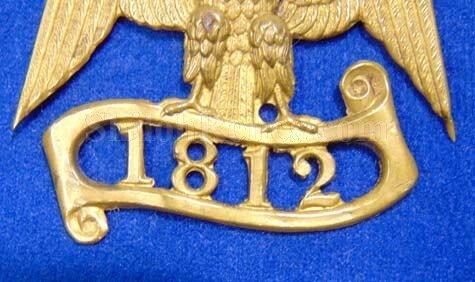 It has the eagle at the top with the trimmed out portion that reads "1812". 1812 was the date that the "Sea Fencibles" were organized to defend the port of Philadelphia. They adopted this design in 1840. You can see the solder marks on the reverse where it had the attachment pins at one time.